Crunchy, zingy and delicious (I wouldn’t have it any other way…). 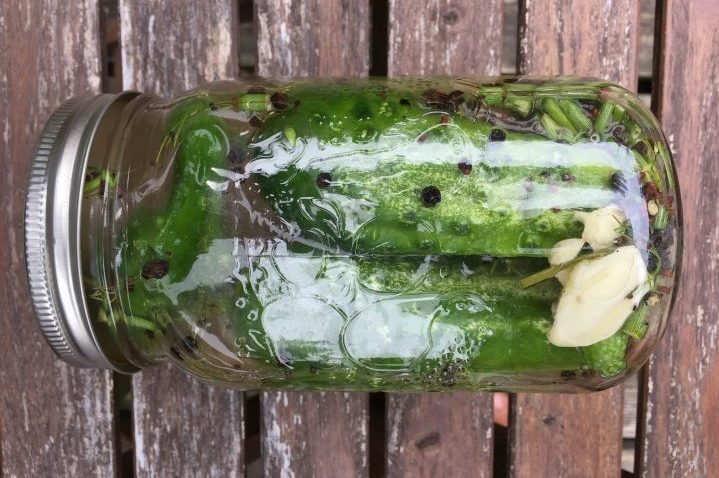 I have simplified the old-school, lacto-fermented (REAAAALLLLLL) pickle for you, and it’s amazing. This recipe is easy AF. 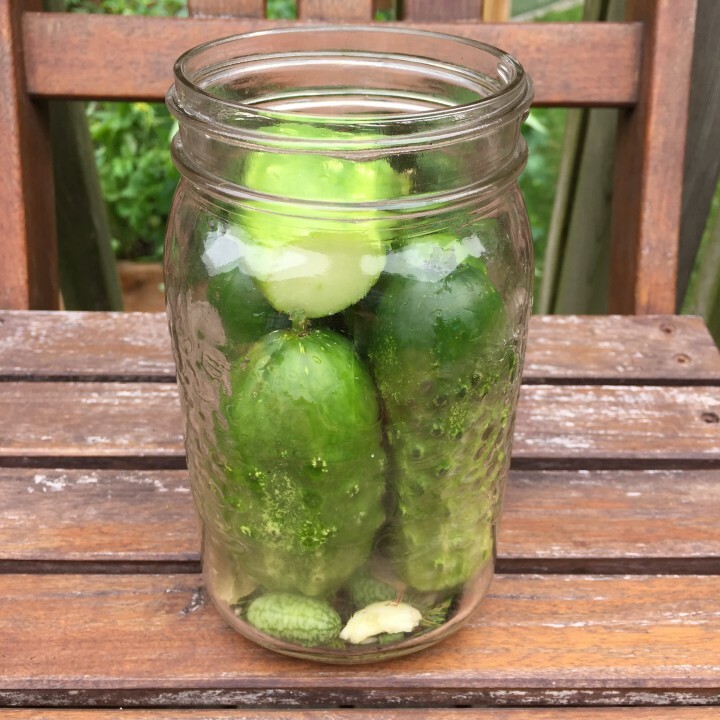 You can have these prepped and in the jar in under 10 minutes (granted, they do have to actually “pickle”/ferment for 2 weeks, so some patience is required). 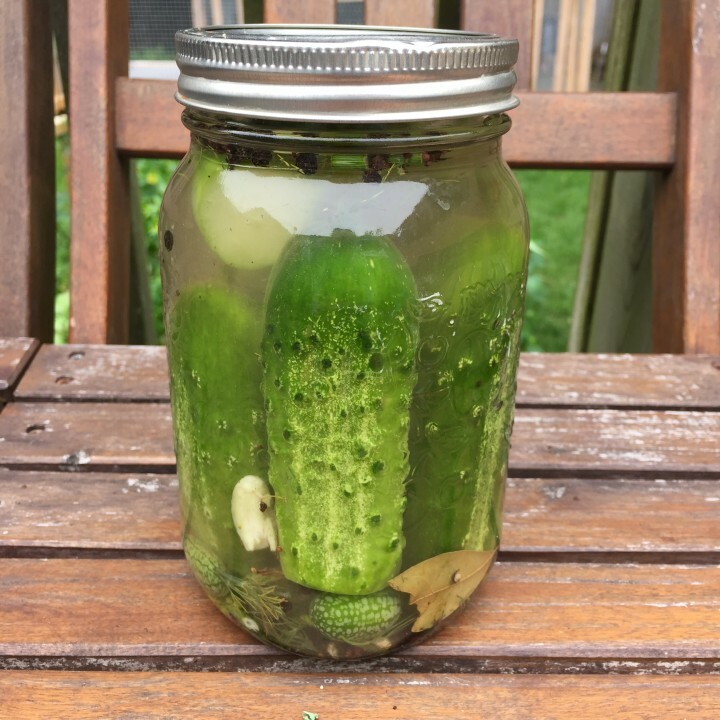 FYI lacto-fermentation is the natural, healthy, probiotic-rich method of pickling that relies on healthy bacteria to naturally ferment and “pickle” the cucumbers, using ZERO vinegar. 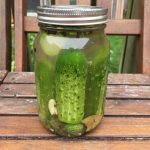 This recipe makes ONE quart size jar of pickles (aka a standard large Mason jar), but if you have more cucumbers just double or triple the recipe to accommodate. Easy, crunchy, zingy, and good for you. Try this recipe for homemade lacto-fermented pickles! Prep brine: In a small pan, add water and salt and gently heat until salt is dissolved in water. Remove from heat and let cool to room temperature. Prep jar: Fill very clean 1 quart mason jar (wide-mouthed opening preferred) with garlic, dill, bay leaves, peppercorns and mustard seeds. Prep cucumbers: Gently was your cucumbers and slice off the last 1/4 inch from the flower end-- this is the end opposite to the stem which is often a little yellower (and from my research, removing this end ensures crispier pickles). Stuff as many cucumbers into the jar as you can, ensuring that they do not poke above the rim of the jar (we want them covered with liquid). Pour brine from step 1 (water + salt) into your jar that now contains the dill, garlic, spices and cucumbers. It should hit about the top rim so that about an inch of air is left at the top. If you're a bit short here, you can add a little more filtered water until the liquid reaches the right height. Put lid on jar and give it a good shake to mix up the ingredients. Make sure to check after shaking that all the ingredients are submerged in the liquid. Place the jar in a cool, dark place for 2-3 weeks (kitchen cupboard? ), making sure to "burp the jar" (slightly open to release the pressure under the lid) after 7 days. After 2-3 weeks I put them in the fridge. They won’t go bad left out of the fridge, they’ll just continue fermenting. 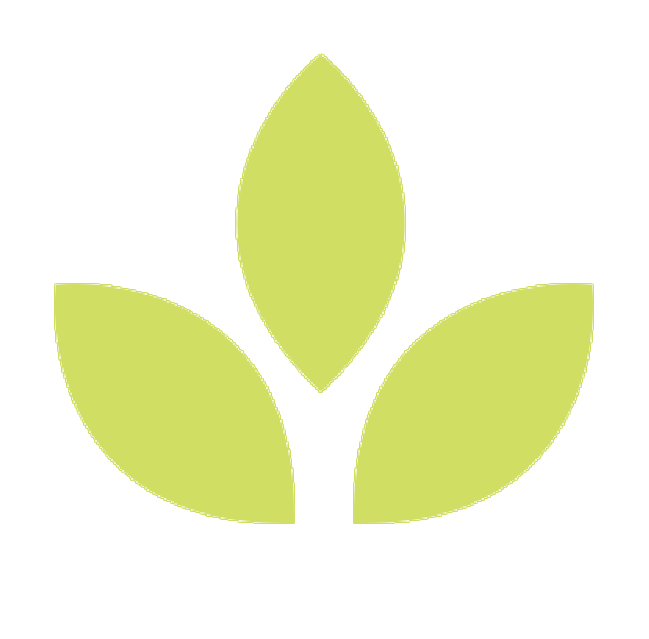 Refrigeration basically stops/slows that process. No need to pressure can them, they’re good to go in the jar.